On Saturday April 14, I joined thousands of others on the National Mall for the 2nd annual March for Science (and still thousands more at satellite events held around the world). 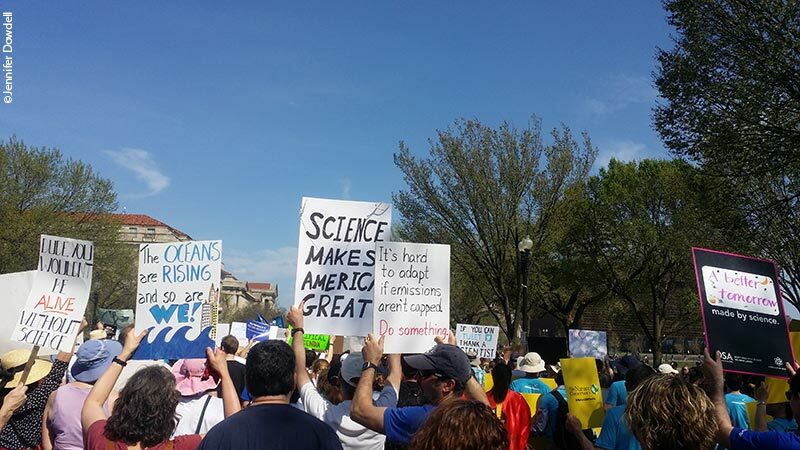 The goals of the March were to bring attention to the role of science in policy and the importance of public engagement in science, to continue to foster a diverse and inclusive scientific community, and to build a global community of science advocates. Under the shade of the blossoming cherry trees and in the shadow of the Washington Monument, we heard speakers give rousing speeches on evidence-based policy, the importance of funding research and opening opportunities for collaboration among scientists across the globe, and the myriad ways that science informs every facet of our lives. One speaker whose words particularly resonated with me was Dr. Jana Hirsch, a researcher at Drexel University working at the intersections of urban planning, geography, and epidemiology with a focus on built environments, health, and physical activity among adults. Besides hearing from some of the best minds in science and research, we heard from scientists-turned-community-activists, children whose lives have been saved through scientific discoveries, and kids who have been inspired to become activists in their own communities due to environmental injustices and health disparities. Among them was Mari Copeny, a ten-year old from Flint, Michigan, who began representing the children of Flint at Congressional hearings on water quality, public health, and environmental justice when she was just eight years old. Afterward, we marched en masse from the White House to the Capitol along Independence Avenue, our signs held high in the afternoon sun. 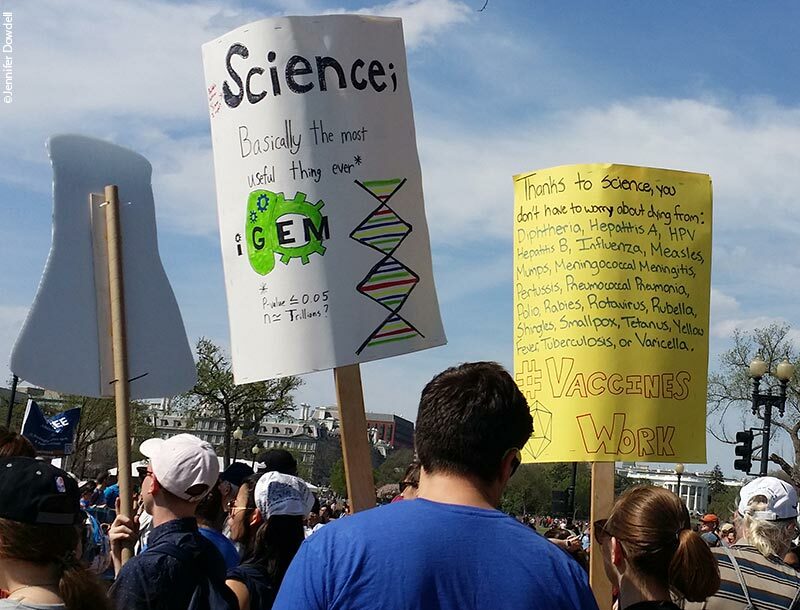 Marchers were of all ages, creeds, and colors, holding handmade posters imploring our lawmakers to remember all the ways that scientific inquiry and discovery have made our lives and our existence healthier and happier. There were numerous signs calling our out current administration to take responsibility for their actions and use evidence-based facts to inform the polices that affect our environment, our health, and our livelihoods. 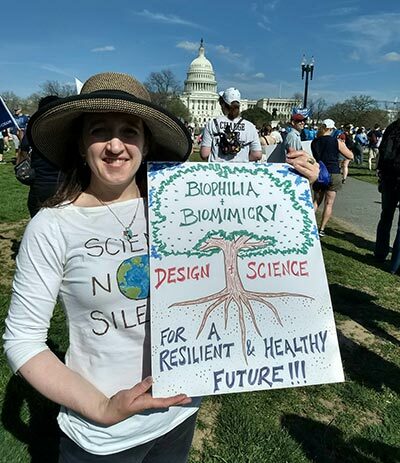 I was proud to take a stand with these scientists, educators, and activists as a designer and planner whose work is based on scientific inquiry in ecological planning, urban ecology, conservation, resilience, and natural resource management!